“Spirituality is not religion to American Natives. like Holy wars in the name of individuals God’s and so on. Native people do not ask what religion another Native is, because they already know the answer. A beautiful prayer given to me on my first trip to Wounded Knee many years ago. An interesting look at the influence of animals in American Native spirituality and ceremonies. This excellent web site explores many facets of the Lakota culture, including religion and rituals. Plan on spending some time here! Your first stop in your quest for knowledge of Lakota spirituality should be here. A comprehensive collection of the Photographs and Illustrations of James Mooney, 1891-1893. A beautiful page of reflections by American Indian Elder Simon Pokagon, lending support to the conclusion that religion is a very personal matter, best left to each of us to choose for ourselves. This intriguing paper, written by John Barry Ryan, Professor of Religious Studies at Manhattan College, looks at the various aspects of American Native Spirituality. Possibly the most important work ever written about the Cherokee People. A thoughtful collection of stories written in 1916, by Marie L. McLaughlin, drawing from her lifetime of experiences with the Sioux people. This essay is one of the most accurate and eloquent written works that I have ever found on the Internet attempting to define American Native Spirituality. Some of the many complexities of American Native Spirituality are well addressed here. Originally published in 1907, this story is a tender and poignant look at the Lakota by Charles Eastman. This delightful illustrated collection by Zitkala-Za, was originally published in 1901 and includes stories about Inktomi and Iya. An unverified, provocative collection of comments made by Seneca Red Jacket concerning American Indian Spirituality. The American Indian tradition of smudging, is nicely done by Elaine Lunham of Bay Mills Community College. Zitkala-Sa wrote this warm and touching story in 1901. A beautiful work, written by Charles Eastman, from the published edition of 1911. **An extremely frank description of the Sun Dance,** the contents of this webpage may be difficult for the young or very sensitive reader. 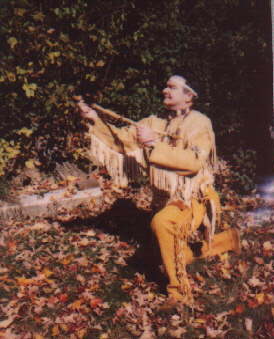 An enlightening series of exchanges concerning who is best fit to teach American Indian spirituality. An excellent effort from the University of Pennsylvania’s Museum exhibition, detailing American Native Medicines. A world class web site with a representative for nearly each of the world’s religions.